It's June so for me personally this means it's summer time which I am super excited about, nothing beats sunny days spent out & about exploring. The new change in season also means that my skincare, especially body wise, change slightly from the rich & moisturising body butters to light & refreshing lotions. This is where The Body Shop's exciting summer release, Virgin Mojito comes in. It's out in stores today & it's limited edition, so if a zesty Mojito scent is something you enjoy sniffing then do get to a store near by & check it out before it's gone. I've got three products from the range which I've been using for the past 2 weeks because I am in love with the scent & the refreshing feeling it leaves on my skin. The Body Shop has done amazingly well to create such a crisp & invigorating scent for summer, it's literally a cocktail for your skin (all I need now is the real deal to enjoy on a sunny afternoon). 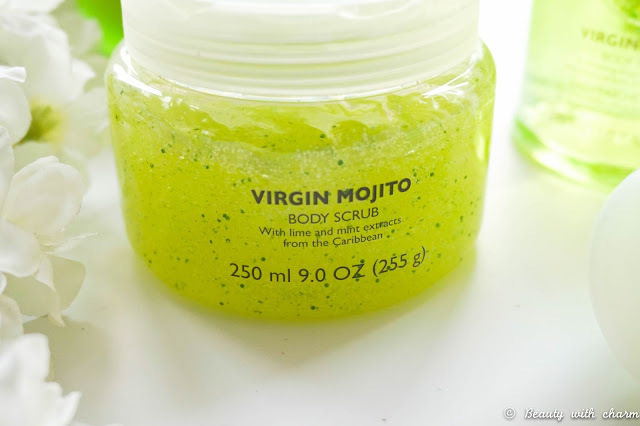 First up is the Virgin Mojito Body Scrub* £15 that comes in a 250ml tube which I find really handy for scooping out. 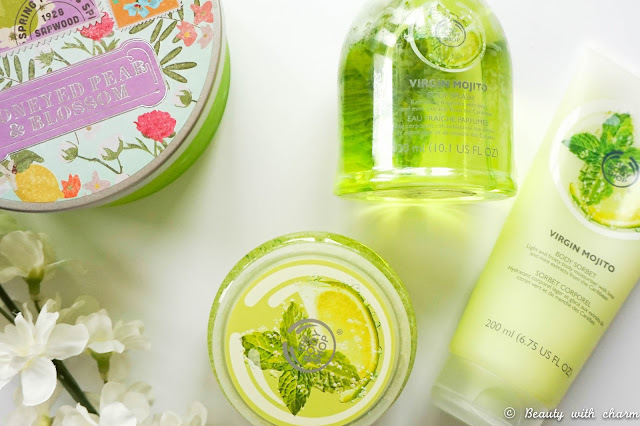 I love the majority of scrubs that I've tried from the body shop & this one is no different. 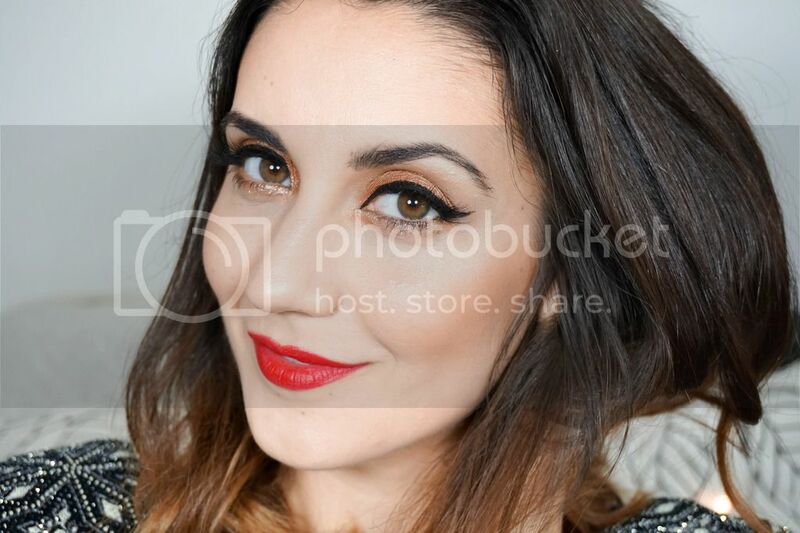 It has a gel like consistency with fine microbeads which feels cooling on the skin as you apply it. Because of its texture I like applying this on dry skin just before I turn the shower on, as I feel like I get the best exfoliation this way. If you've got sensitive skin or hate harsh exfoliating products this is perfect. 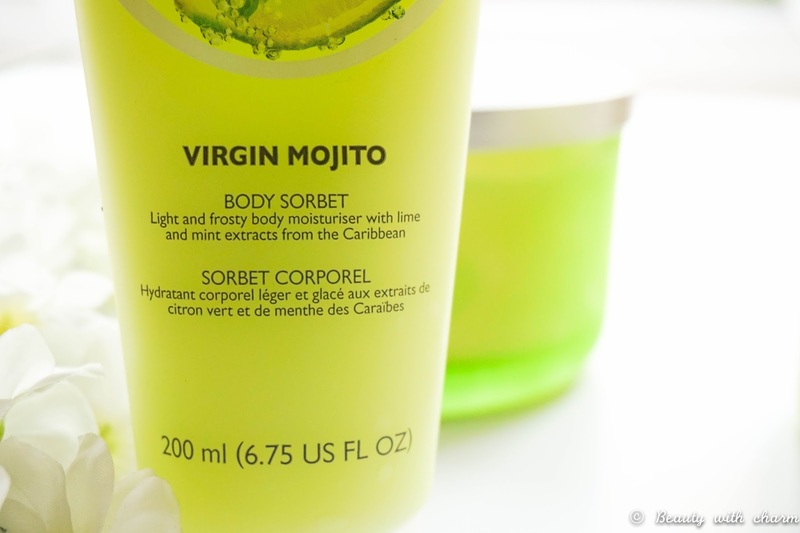 Next up the Virgin Mojito Body Sorbet* £8 which is a completely new type of moisturiser to me. I've never tried these gel kind of moisturisers before but I'm pleasantly surprised. The texture of this is so strange, the only way I can describe it is that it feels like a primer for your body as it just smooths your skin completely. The scent once again is extremely refreshing & zesty so I can see myself using this all summer long. The only thing to note is that if your a fan of rich body butters then this is not for you as it only offers half the hydration. I quite like this factor in the summer time as I hate feeling tacky during the heat, but if you prefer feeling super moisturised then I suggest the Body Butter from the range. 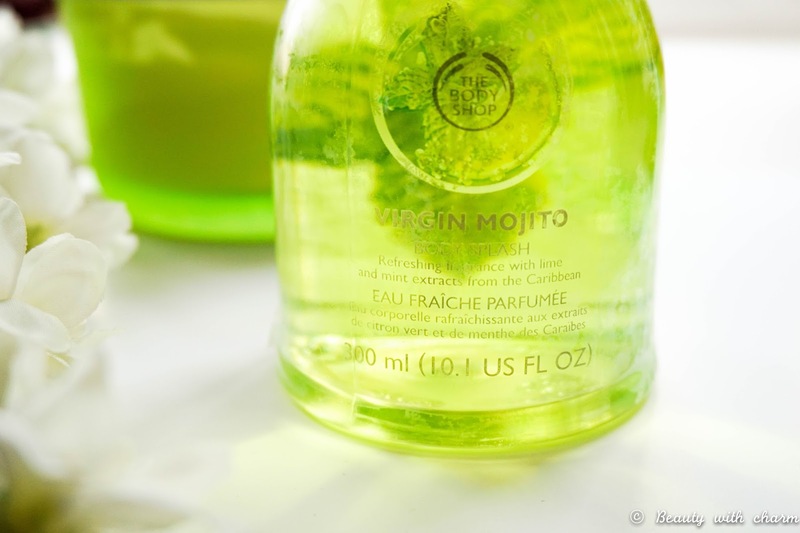 Last up is the star of the show the Virgin Mojito Body Splash* £16 which is pretty much what the name suggests a fragranced water to splash on your body. It instantly cools the skin & it's absorbed within seconds. I wouldn't go as far as saying you don't need to use a fragrance as this doesn't last on your skin all day, but paired with other products in the range such as one of their moisturisers, the scent is prolonged. My only niggle with this is that it's not the best application wise as you've got to pour it in your hands and then apply it to your body, I would have much preferred having a spray instead. So that's the 3 products that I was lucky enough to try out but there's a few more from the range worth checking out, plus the range will also offer a variety of gifts (my favourite is The Big Shake which includes an actual metal cocktail shaker along with the skincare treats). Are you tempted to try out the Limited Edition Virgin Mojito range? If so what product have you got your eye on? PR Samples given in a goodie bag for review.